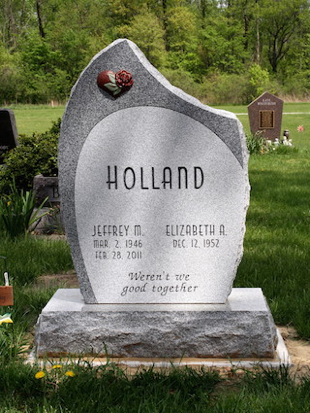 Family memorials are the most traditional style of memorials, and offer the opportunity for the name of two or more loved ones to be on the same memorial. 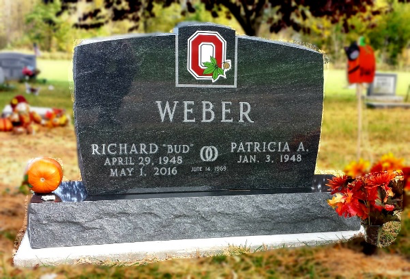 Ohio Monuments recognizes that each family is different and unique, which is why each memorial is able to be personalized to your family’s very own “story in stone”. 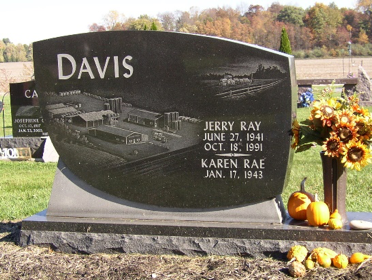 Styles of family memorials can range anywhere from a simple, engraved wedding date or can have a personalized scene depicting the family’s favorite vacation destination. 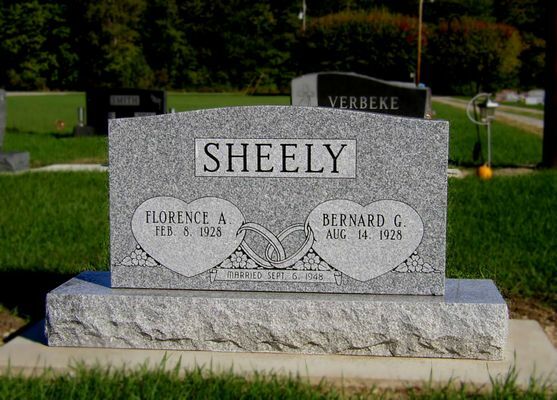 Whichever of these you would like to use for your family memorial, we will work with you to make it happen. 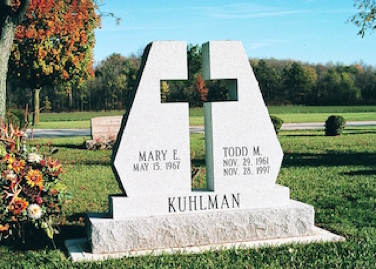 Companion Memorial In Gray Granite With Open Air Cross. 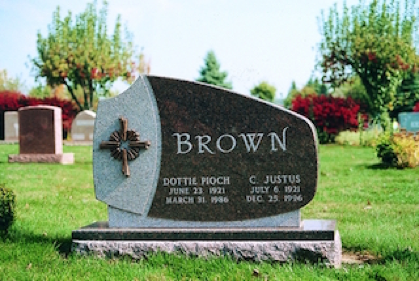 Companion Boulder Shaped Memorial In Brown Granite With Long Stemmed Rose. 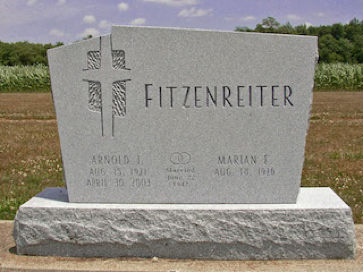 Companion Memorial In Pink Granite With Bronze Cross And Rose. 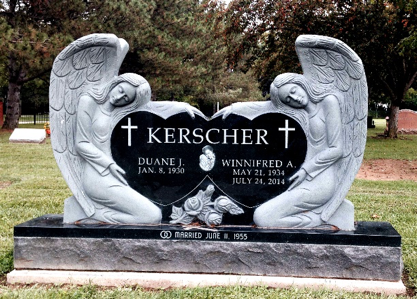 Companion Memorial In Black Granite, With Angel Sculptures Holding Interlocking Hearts. 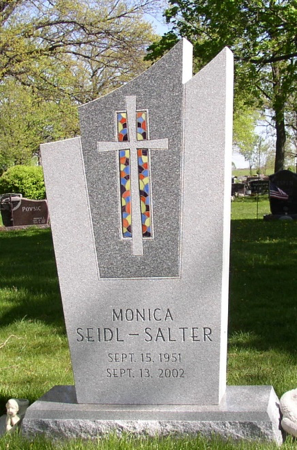 Companion Memorial In Gray Granite With Mosaic Inlaid Tiles. 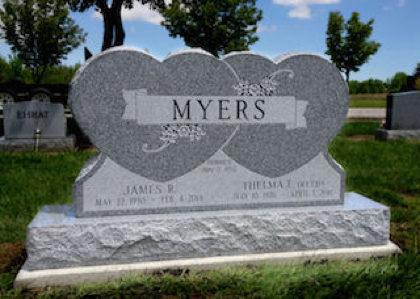 Companion Memorial Entwined Hearts In Gray Granite With Ribbon And Flowers. 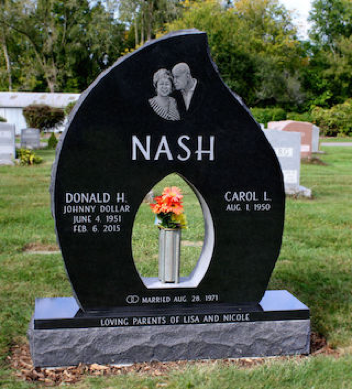 Companion Memorial In Special Shaped Black Granite With Portrait And Centered Opening For Beautiful Vase. 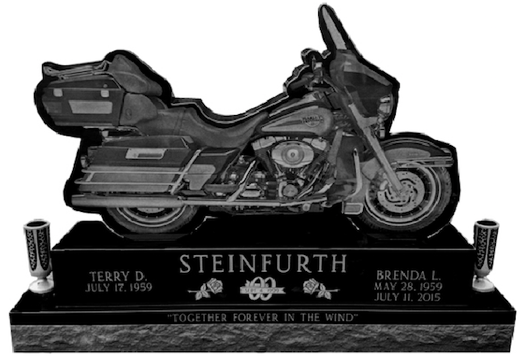 Companion Motorcycle Memorial In Black Granite With Laser Etched Harley Davidson And Flower Vases. 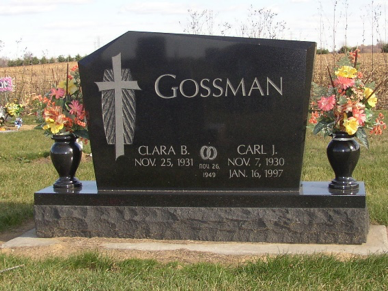 Companion Memorial In Special Shaped Black Granite With College Emblem. 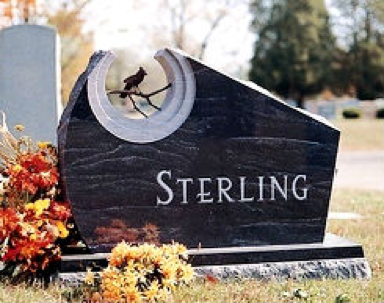 Headstones are meant to serve as a permanent memorial of those we loved and cherished, and come in a variety of shapes and sizes. 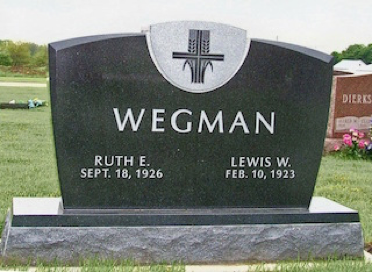 From lawn level markers and upright headstones to family mausoleums, you are able to find the right size to meet your personal needs. 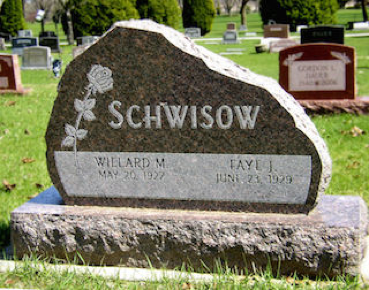 The granite we use for our headstones comes from all around the world. 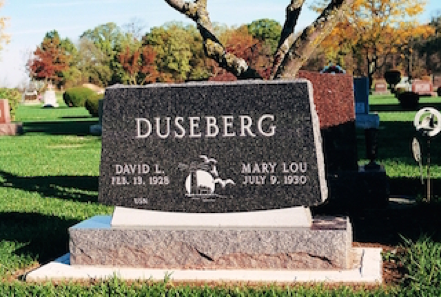 Whether you choose gray granite from Vermont, black granite from Africa, blue granite from Norway, or red granite from Wisconsin, we use only the best quality materials from reputable quarries in preparing your loved one’s headstone. 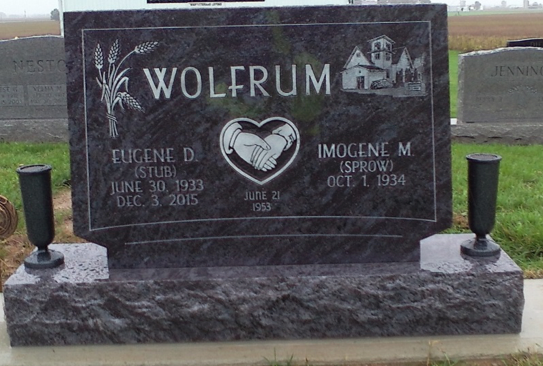 We believe the design of your loved one’s headstone should be personalized to reflect and commemorate their beliefs and achievements throughout the life they lived. 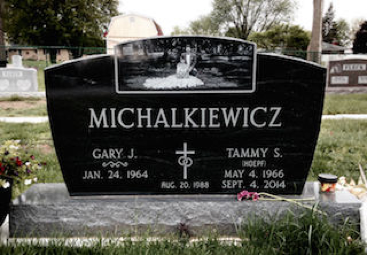 Whether it be religious symbols, occupational emblems, a particular hobby or passion, or even just a nickname, these personal touches tell a story about who they were and always will be. You are not limited to selecting designs from a catalog. 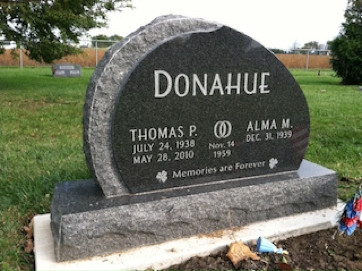 We are here to help you create not only a headstone, but a lasting tribute to those who we wish to remember. 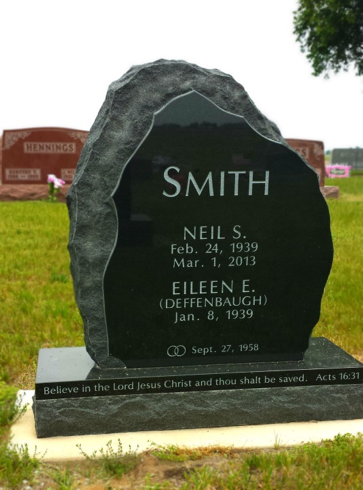 The Faehnle family, with over 100 years of combined experience, has helped area families preserve memories in stone with family memorials that have been designed to be as unique as the lives they commemorate. 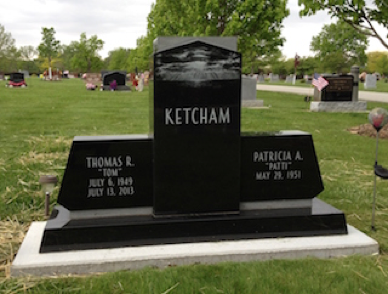 We know that creating a personal memorial can be unfamiliar and overwhelming, which is why we offer the personal service and capabilities of Rock of Ages, America’s premier monument company. 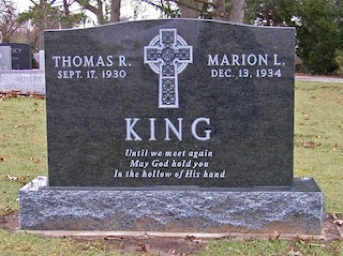 We will work with you to help you find the monument that is a fitting tribute to the life of your loved ones. 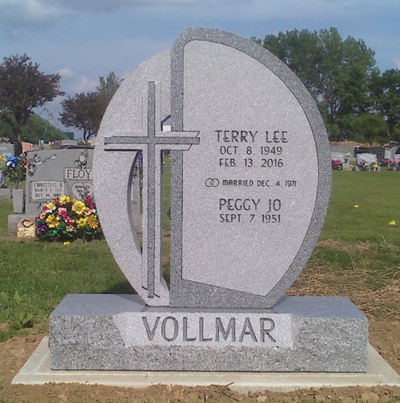 Our monuments come in a variety of styles for you to choose from. We welcome you to come to our studio, or we would be happy to visit you in your home, if that is more convenient for you. 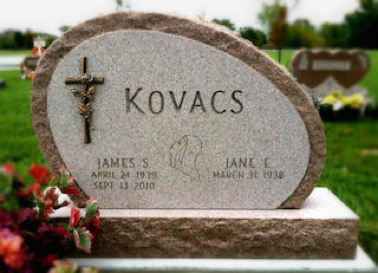 Please feel free to call us at any time; we are here to answer your questions about family memorials and any other questions concerning memorials.